I love making digital photo books that I can print up and share with others. I make several a year, some for myself and some for family and friends. When Picaboo Yearbooks offered me a free photo yearbook in exchange for a review on my blog I said yes right away! Picaboo Yearbooks is an inexpensive way to create a photo memory book for your homeschool, family, co-op group, etc. Starting at just $8.49 for 20 pages, Picaboo offers many different layouts and creative options to help you personalize your memories. Photo from website~ not my yearbook. Similar to other digital photo creations, you upload photos from your computer to use in your yearbook. Photos are uploaded into different themes or sections. This was both good and bad. It's nice when you are dealing with a whole bunch of photos, like 100 holiday photos, that you can upload them into different sections that you've named Thanksgiving, Christmas, Easter, etc. That way you are not looking through dozens of photos from your Easter Egg Hunt when you are working on your Thanksgiving pages. The bad thing is that if you have a photo in one section that you want on another page, it takes a bit of work to get it to another section. It can be moved, but not until you go and move it from section to section. Here is the cover of my yearbook. Its gorgeous quality. But my lack of creativity shows because it's kind of boring. Well, I of course created a photo yearbook! I definitely isn't a quick process. You are truly starting with a cover and each page has to be added individually. After each page you have to add background design and/or color and then choose a layout or place and size the photos yourself. Text boxes are also added by layout or individually. Was this really only a year ago? They all look so little! I started out by being really creative and using photos for backgrounds and playing around with photo effects. But then I thought that although those pages are fun, they just aren't me and they take away from the photos themselves. So I used basic color backgrounds and put my photo in based on theme. My one attempt at creative layouts. I used photos for the backgrounds and turned them black and white. Then I individually placed each photo and text box. James doesn't have a birth photo because we didn't own a digital camera until he was four months old! So his first photo is at four months instead of birth. The large photos on the left are taken by my very talented friend and next-door neighbor. I hit a lot of set backs while creating my book including the page freezing (a lot) and me having to log-in again. Thankfully the site automatically saves your book every minute so very little was lost when this happened. And the customer service folks at Picaboo were amazing. Most of the problems came from user error (not surprising) but the ones on their end they were able to fix in less than a day. Would I use Picaboo Yearbooks to make another family photo album? No, probably not. The work involved to create the album from scratch just wasn't worth my time. Especially when for more money I can have a program that basically makes the book for me after I upload the photos. And I am just not creative enough to take full advantage of all the little extras that make it so labor-intensive. So for personal use I would say no. 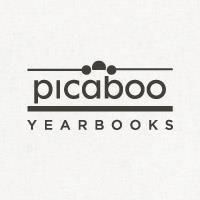 Would I suggest to the LMCA (our new homeschool academy) that we should use Picaboo Yearbooks to remember our school year? DEFINITELY! There is so much about this program that would be perfect for LMCA's yearbook. One, we can sign-up the older students as team members so that they can work on pages and sections at home. Multiple people being able to easily contribute to the same book is definitely a bonus in a group setting. Even parents would be able to get in on the fun by uploading the photos they have. Two, by having students involved we can utilize their creative abilities (and their apparent endless available time) and they can get some art credit for their contributions. Double bonus! Three, the price is perfect for homeschooling families. And if we set up a Picaboo store, then families can go online and order if and when they want to. We aren't stuck holding the bill if we order copies and then a family changes their mind. It is easy to get started making a Picaboo Yearbook. They start at $8.49 for a softcover (plus $8.99 shipping) and can be created on their website. 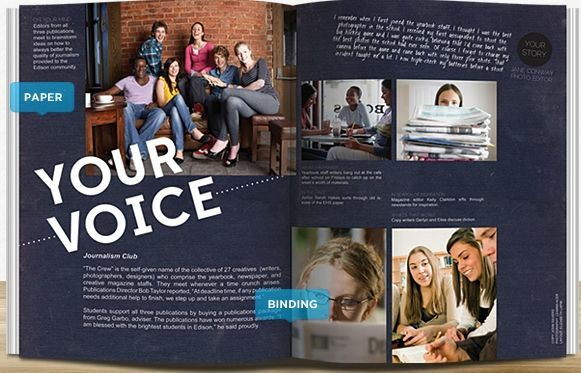 In addition to softcover, you can create a hardcover yearbook or an e-yearbook. Picaboo also offers other options to create photo memories including calendars, photo albums, and photo cards. Click here to see products on the Picaboo Yearbook Website. Many other reviewers on The Schoolhouse Review Crew created a Picaboo Yearbook. I encourage you to head over and see their books because we have a lot of very talented and creative folks on the Crew this year. Click here to read their reviews or click the banner below. I really like your book! The full pages of your children was such a neat idea!